Across life sciences, the practice of label validation has become vital, as both the United States Food and Drug Administration (FDA) and the European Union’s regulators increasingly require electronic validation of pharmaceutical and medical device labeling solutions to maximize safety and security. Due to the heightened focus on validation, pharmaceutical and medical device manufacturers who do not use validated software, especially those who still rely on manual or paper-based processes, are placing themselves at increasing risk. At their best, validation processes allow companies to demonstrate when, where and by whom a label was originated and printed, providing more detailed and searchable records, thereby assisting with future audits and regulatory compliance. As part of the process of implementing a new global labeling system, pharmaceutical and medical device companies should draw up a validation master plan, with policies and procedures which rest upon objective evidence. Part of this should be a supplier audit, to ensure that computer systems are compliant with relevant regulations, alongside a risk assessment, test strategy, good document standards and training protocols. It’s ever more important that a company’s labeling systems’ rationale can stand up to the scrutiny of an audit. Even once a new labeling system has gone live, the process of validation needs to continue, so that a state of control is maintained into the future. Patches may need to be applied to the system for example, with consequent need for validation. Finally, be sure to document all validation; regulatory bodies may require this. Altogether, validation performs a crucial function throughout the implementation of any new global labeling system, with major advantages in cost saving, efficiency gains and regulatory compliance. IQ is Installation Qualification, recording the installation of software and that it has complied with the necessary steps. OQ is Operational Qualification, meaning that the solution is functional, while using test data. 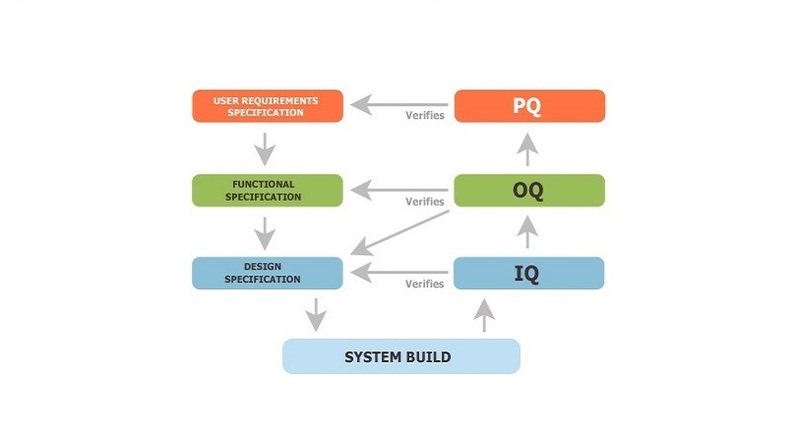 OQ is measured against functional specification and guarantees that the product or application does what it promised to do. PQ is Performance Qualification. To meet this criterion, an application must perform to a certain standard, resulting in products meeting set requirements, under live conditions. PQ is done as a final test ahead of production, to ensure that an application works using live data, in a live setting.